Tell us about your role and journey into Marketing Technology. How did you arrive at Templafy? I joined Templafy when we were just 5 employees in total and marketing was basically non-existent. I started formulating a strategy and a plan for how a marketing department could bring value into the company and setting up a full-stack marketing setup with a website, advertising, tracking, lead nurturing, etc., with the primary focus on inbound marketing. After proving the hypnosis that inbound marketing could bring in paying customers, I started hiring experts for the initiatives that proved the most valuable. Today, the marketing team consists of 6 marketing experts and myself as the Head of Marketing. Which key technologies in Marketing are you keenly following? How does Templafy fit into a modern CMO’s technology stack? As large organizations become more and more complex — BYOD, cloud migration, employees working from all over the world — it becomes harder and harder to control the millions of documents, presentations and emails that are produced every day. Most modern CMOs understand the importance of having a consistent and solid brand across all channels of communication. This is usually not an issue when it comes to content controlled by marketing, branding and communications, such as advertising, website, social media, sponsored content, etc. However, as soon as the employees start producing documents, emails and presentation, the marketing department loses control and employees start getting “creative”. Organizations need a scalable, secure and agile system to help them control document creation and template management. With Templafy, the CMO can take back that control and ensure a consistent and updated brand across all employee-produced documents, emails and presentations across the world. 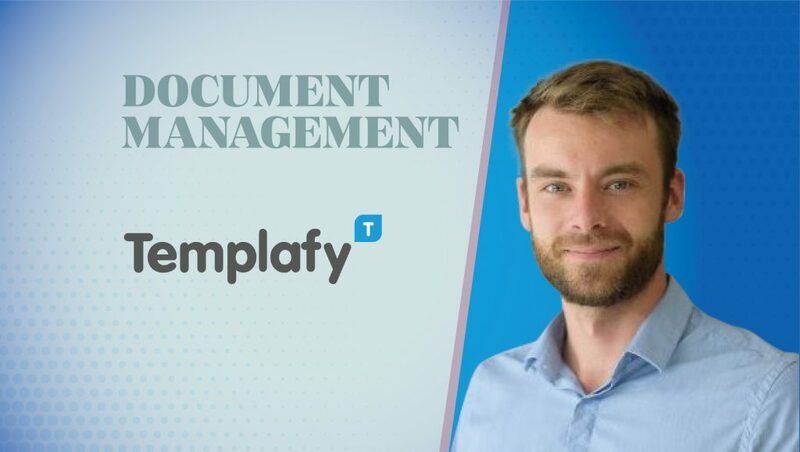 Templafy automatically updates and adapts documents and templates to the employee working with it based on the latest brand and compliance standards. Furthermore, Templafy ensures that all templates and document assets such as slides, images, text snippets, etc., are available directly within the Office suite. This means that the CMO and the people in charge of the documents and templates can govern the brand centrally and easily roll out updates and new content across the entire organization. Tell us how Templafy manages GDPR and privacy-related initiatives. We have an extensive focus on how we store and access data about users and leads. Furthermore, we have applied different software solutions and internal processes that enable us to keep track of legal changes and ensure that we comply with all regulations. How much of your marketing campaigns have been disrupted with data privacy laws? I wouldn’t say that our marketing campaigns have been disrupted, but we certainly had to go through our setup on marketing channels, our website, forms, email flows, etc. to ensure that they were fully up to the new regulations. That meant some adjusting and updating – especially in the backend, but we haven’t been forced to shut down any of our initiatives. What are your predictions on the most impactful disruptions in Document Management and Contract Management? Are these two different from each other? More and more companies become aware of the benefits of digital transformation and migrate to the cloud. In this process, it is essential that they plan for what will happen with their current Document Management and Contract Management Systems. In my opinion, the most impactful disruption of these two systems will be the new level of automation and distribution that the cloud offers. New documents, contracts and updates to existing ones can be pushed to every single employee across the entire world in seconds. Furthermore, we see an increase in employees using smartphones and tablets to create documents — and in general, an increase in BYOD. Companies will have to take this trend into account and provide their employees with a much more flexible setup. How can marketing teams better prepare for AI and automation? How do you prepare for these technologies? In my mind, you have to think of AI and automation as any other tool in the marketing toolbox. You should never just implement AI and automation because that’s what everyone is talking about. If you don’t have a clear purpose and can see the potential benefit and value, it’s just a distraction and can take up a lot of resources from your team. That being said, the benefits are immense and right now, we have only scratched the surface of what these technologies can achieve. I believe that AI and automation will change and shape modern marketing for the years to come. Your advertising channels feed information into your CRM system who feeds back information about actual customer value. An automatic system then chooses which keywords to bid on, which ads to promote, how much money you should spend in each market etc. If this is setup done right and you make sure that the correct data is being exchanged, you’ll have an immensely strong setup that will help you perform better than you could ever do by manually assessing all potential variables. If not, all of a sudden, you’ll have a system that’s automatically spending your advertising budget on low performing ads and keywords behind your back. Before implementing, it’s important to know who will maintain and optimize the setup. I talk to a lot of colleagues who have the impression that once AI and automation is implemented, it will just run smoothly in the background and bring value to the company. And I understand why, I mean, it’s right there in the name, However, in reality, to implement it successfully and getting full potential, takes a lot of testing, tweaking and adjustment. Define a clear purpose and desired outcome. Get a full overview of how AI and automation will impact your current setup. Consider who will run and maintain the setup once implemented. Glen Hagensen is the Head of Marketing at Templafy. As a marketing professional with a passion for B2B and tech companies, he believes that a deep understanding of marketing theory and experience is the key factor for success in the marketing field. When mixing skill with cutting-edge marketing technology, a solid data foundation and a clear vision, great results will happen. Templafy brings custom company templates, brand assets and best practice content together directly inside any office application, streamlining how users create on-brand and compliant documents, presentations and emails. With Templafy, global businesses safeguard their brand integrity and increase productivity through a centrally governed, secure and easy-to-use platform. 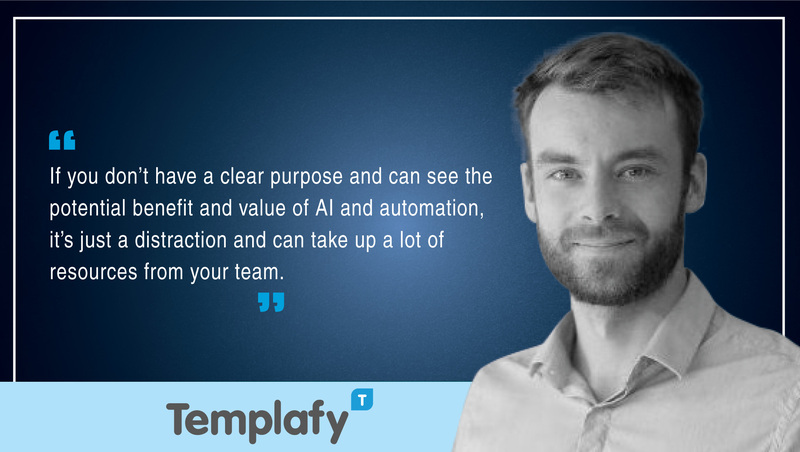 Founded in Copenhagen, Denmark, in 2014, Templafy’s team leveraged more than 15 years of experience in template management and document automation to develop an enterprise cloud service solution, which is now a global market leader within its category, validated by blue-chip enterprise customers on every continent.